BarkBox - SUB BOX ONLY $24.50!! FREE GRINCH PLUSH TOY!! 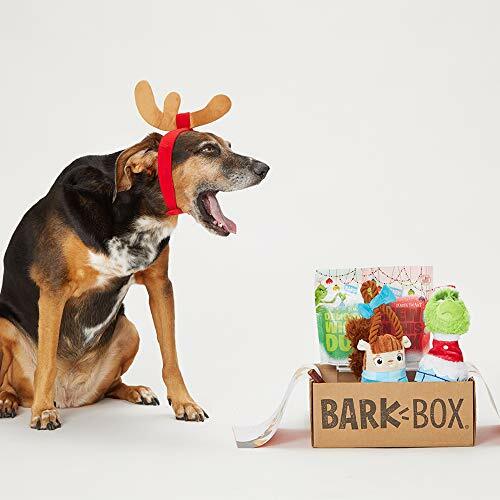 BarkBox – SUB BOX ONLY $24.50!! FREE GRINCH PLUSH TOY!! YOUNG GRINCH TOY (gets grumpier with age): A bouncy, squeaktacular toy we provide: the SPIKY BALL core is a bonus inside! Dogs love our crispy and crackling crinkle, the sound guaranteed to make their ears twinkle! PERFECT HOLIDAY GIFT: Great gift option for dogs 50 lbs+ and dog lovers!